This tutorial will teach you how to install a theme (as a parent), create a child theme and upgrade your theme. All IPS themes are in .xml format. If you have download a .zip file, extract the file first and you'll find the .xml file inside. First, we'll be installing the theme as a Parent theme. Parent themes should never be edited and should generally be hidden from all users. Once it has been installed, we'll create a Child theme which can be edited via theme settings (to change colours, logos, etc), and it'll be shown as the default front-end theme to all of your visitors. 1. To install the Parent theme, go to Admin Cpanel > Customization > Themes. At the top right, click the + Add Theme button. 2. From the popup box, choose the Upload Theme tab and select the .xml file from your computer. This tutorial will use the Dimension theme as an example. Press Next. This will hide the Parent theme for all visitors. The Parent theme should never be edited beyond this, so press the Save button at the bottom and proceed to creating the Child theme. A quick summary: The Parent theme which we installed is hidden from all members, and your site will be using the Child theme, named "My new theme". The Child theme inherits everything from the Parent theme. If you need to edit the theme, make sure you only edit the Child theme. The Parent theme should never be edited and should stay untouched. When new theme updates are released, browse to Admin Cpanel > Customization > Themes. Click the arrow icon to the very right of your Parent theme and select Upload a new version from the list. 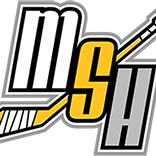 Browse for the updated .xml file, press Upload and your theme will be updated! Upgrading between major versions, such as 4.2 to 4.3 will likely require a fresh theme installation. The above instructions for upgrades will apply to minor upgrades, such as 4.3.0 to 4.3.1. I really need to upload like two .xml files (one with the theme-name and one with named images..) it seems. I have managed to upload the one named the theme-name.xml, but how do I upload the second one? Right now my forum looks really..dull. Could it be that my brand new cloud-installation of IPS (not sure which version, could be 4.x ?) isnt compatible with the theme? The theme you are trying to install is a 3.x theme. It will not work on your 4.x forum. All 4.x themes are one .xml file only. How do I know the version of my forum and when will my theme come out in 4.x format? I'm sorry, but I've tried to upload both of the .xml files as new themes to my 4.x system without success, theme is only looking really white and boring. What is my got damn problem? As mentioned in post #3, you are trying to install a 3.x theme on your 4.x forum, which will not work. You'll need to wait for your theme to be upgraded to 4.x before you can install it. I understand this, but when will this happen, dear Root Admin? I understand, but are we talking days, weeks or months? I would appreciate some kind of idea cos my forum release is pretty much waiting for the working theme..if this takes too long, I would like to know so that I can apply something else (and release it) while waiting. Thanks in advance! 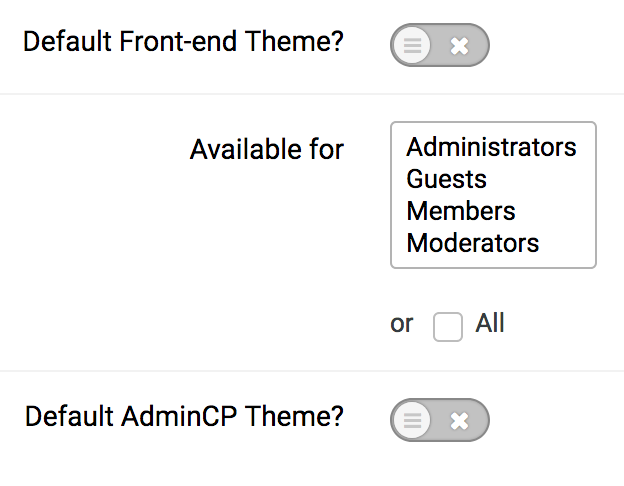 Feel free to direct any questions to the announcement topic, since this topic is intended for "Installing themes"
IMPORTANT: Version 4.x has a "feature" which attempts to inherit the theme and apply it to your ACP. In most cases, this may impact visibility or your layout. To use the Default theme in your ACP, go to ACP > "Signed in as..." > AdminCP Theme > Default. Didn't know that. I also had to go into the default theme and enable it for admins so I could see it in the dropdown. Then the colors stopped conflicting with each other in the ACP. Regarding translation, currently all the config for Chameleon are not translated in english, how can i add the translation? I then installed the Spectrum theme. When I set the Spectrum theme to default I get a 500 error message. When I set the Default theme back to default the error message goes away. What this means is that I cannot use the Spectrum theme. You are likely using an outdated version of 4.x. Upgrade to the latest version (4.0.12.1) and it'll work fine. I put a ticket into invision power services (who hosts the board for me) to see about upgrading the version. I am not sure that I have that option. They upgraded my installation to the latest version and everything works fine. were is the admin cpanel? link? Click your username at the top of your site and there will be a link to the Admin CP in the drop down menu. were is the optimazation? in the cpanel. If you're referring to Customization, it's in your Admin CP on the left side. hi i already install dashboard theme 4.1.7 to my ip board 4.1.7, but after finished upload, appears words that say "Sorry, you do not have permission for that!" and "1S111/1". I already buy this theme and cannot used that theme, can you help me? Please contact IPS for support. It is likely an issue with your forum and not my theme. I tried to install the theme via the ACP. I get an error that the XML file must be under 2MB in size. Have you seen this before? EDIT: Had to edit /etc/php5/apache2/php.ini to allow a larger file upload size (default 2MB). I simply sell themes (designs) for IPS.Suite. If you haven't yet purchased the forum software, you will need to get it from IPS.